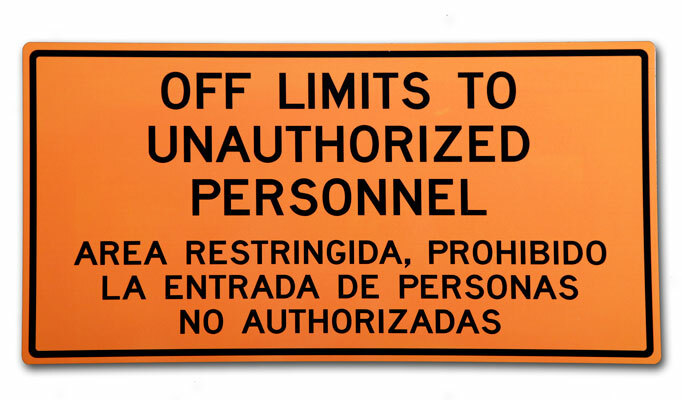 Keep civilians aware of proper procedures and restricted areas with Stonehouse Signs' Access Control and Perimeter Signs for military and government buildings, facilities and installations. 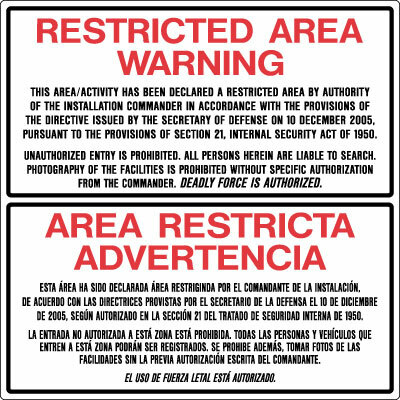 All our standard and bilingual trespassing and restricted access signs adhere to Army Corps of Engineers standards and requirements: Warning Signs should be erected to assist in controlling authorized entry, deter unauthorized entry, and preclude accidental entry. 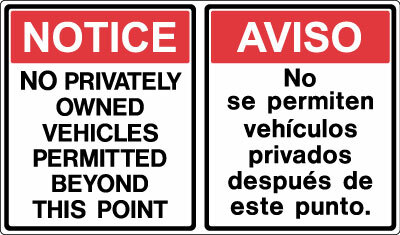 Signs should be plainly displayed and be legible from any approach to the perimeter from a reasonable distance. 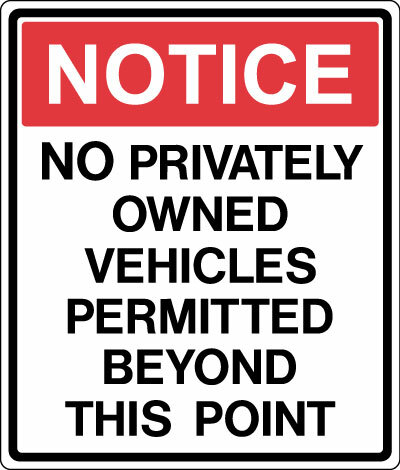 or click the links below to view specific categories. 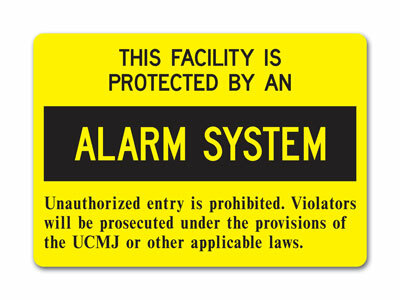 Contact one of our experts to ask a question or request a quote. We're here to help! 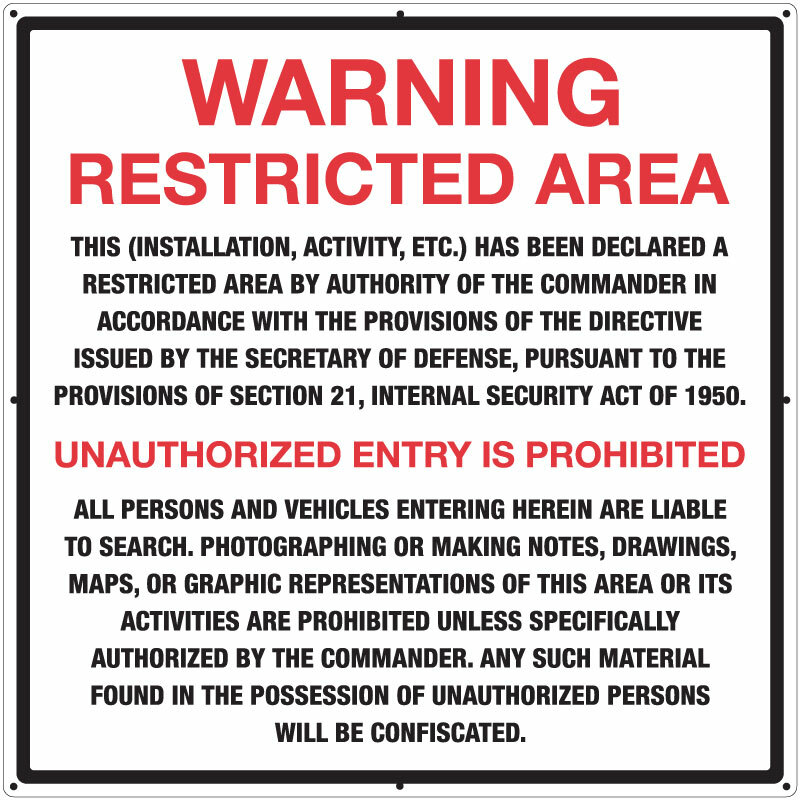 Stonehouse Signs' Restricted Area Warning Signs are designed to be in compliance with Army Regulation 190-11, "Physical Security of Arms, Ammunition, and Explosives.” Modified wording or Custom Restricted Area Warning Signs are available by contacting a Stonehouse Signs Account Manager. 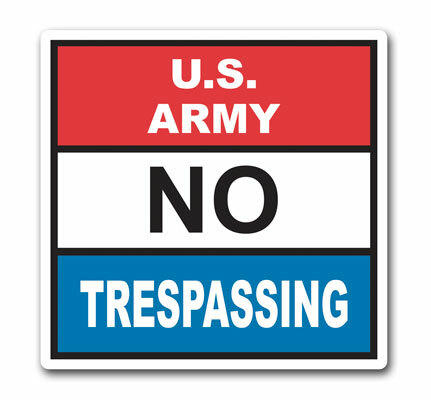 Stonehouse “No Trespassing” signs are designed meet the requirements for U.S. Army Perimeter fencing in non-sensitive areas. 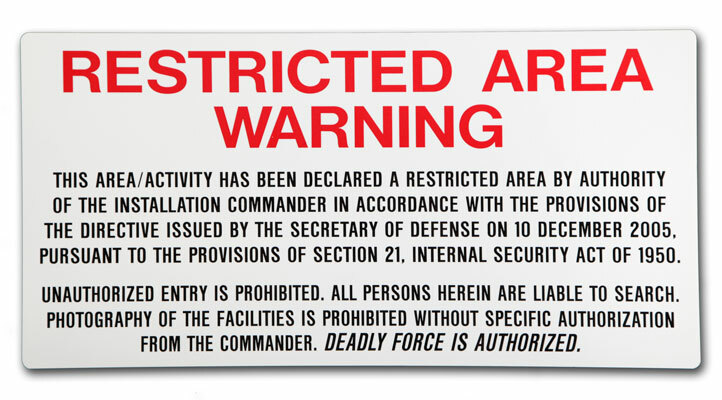 This sign is easily modifiable to all other state and federal military and government entities. 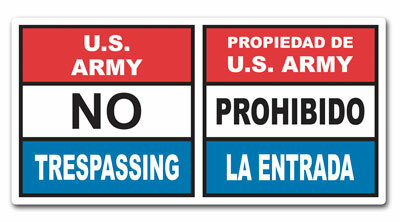 No Trespassing signage should be placed along perimeter signage at a distance apart of no greater than every 100 feet. 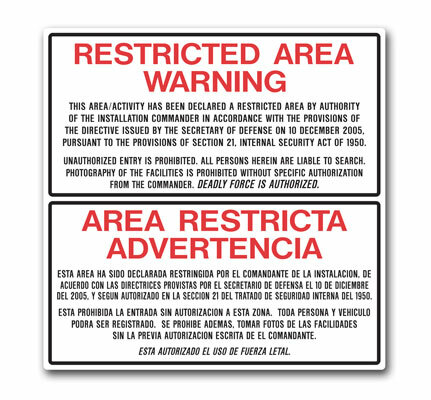 For sensitive areas such as airfields and heliports, “Restricted Area Warning” signs should be interspaced with the No Trespassing signs. 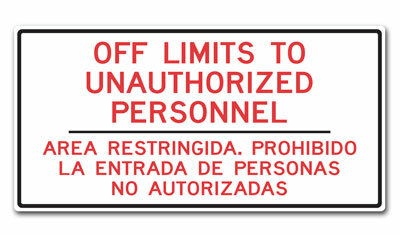 Post Bilingual Off Limits to Unauthorized Personnel Signs at entrances to facilities.  Request a quote for your product needs.